A king’s ransom £20,000 – reckoned now more than £400,000,000 – had unintended consequences for it did much to delay recognition of the solution – time – Harrison’s ‘pocket- watch’ – the perfect time-keeper’; a delay that cost countless lives. ‘[Harrison] made a special enemy of the Reverend Nevil Maskelyne the fifth astronomer royal, who contested his claim to the [Longitude] prize money and whose tactics at certain junctions can only be described as foul-play’. Dava Sobel. ibid. A succession of Astronomer Royals, understandably Rev. John Flamsteed the first appointed in 1676 whose Luna Tables were his life’s work; followed by Edmond Halley, James Bradley, Nathaniel Bliss and the fifth holder Nevil Maskelyne all remained wedded to Luna Tables. ‘The  Almanac represents Maskelyne’s enduring contribution to navigation – and the perfect task for him too, as it embodied an abundance of excruciating detail’. Sobel. ibid. But well before 1765 and Maskelyne’s Almanac – time – the essential ingredient for solving the problem of longitude had been conquered. However the might of Astronomer Royal Rev. 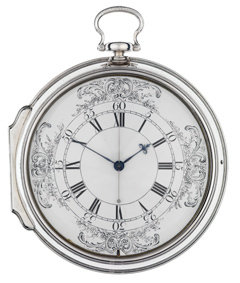 Nevil Maskelyne was brought to bear on Harrison personally and against his ‘never failing guide’ the marine chronometer. ‘[It] was bolted to a window-seat at the Observatory’. Dava Sobel. ibid. Cook did have the invaluable service of Charles Green a fellow Yorkshire-man. An accomplished astronomer Green had served as official Assistant to two (2) Astronomer Royals. Firstly James BradIey who succeeded on the death of Edmond Halley in 1742. Bradley held the post for twenty (20) years until his death in 1762. Nathaniel Bliss followed Bradley in 1762 but ill-health marked his short tenure. Bliss did not take up residence at Greenwich he remained at Oxford University where he died in 1764. During the hiatus 1762-65 Charles Green, another Yorkshire-man, acted as surrogate Astronomer Royal. In 1764 with Bliss too ill to travel, Green acting as official representative of the Board of Longitude, had travelled to Barbados with Maskelyne to assess the accuracy of John Harrison’s ‘watch’. At the beginning 1765 King George III announced the appointment of Maskelyne as Britain’s fifth Astronomer Royal. Charles Green logged his final Observations on 15 March 1765 and left the Observatory soon afterwards. This entry was posted on Wednesday, August 23rd, 2017 at 1:52 pm	and is filed under Exploration. You can follow any responses to this entry through the RSS 2.0 feed. You can leave a response, or trackback from your own site.